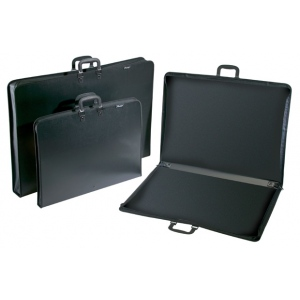 This zippered portfolio is constructed of durable heavy-duty black polypropylene with stitched cloth edges for added durability. * The molded plastic comfort handles are securely riveted in four places for added strength. The gusset size is 1 1/2".